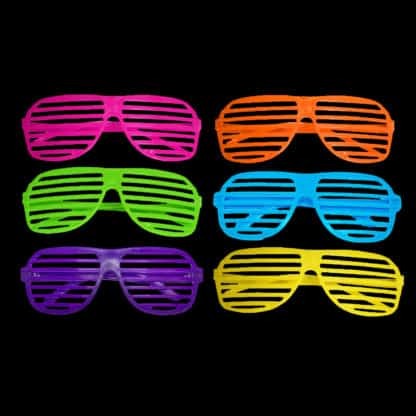 Slide back to the 80s with these neon shutter shades! 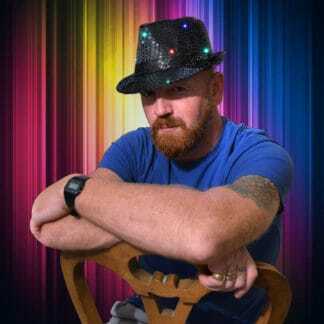 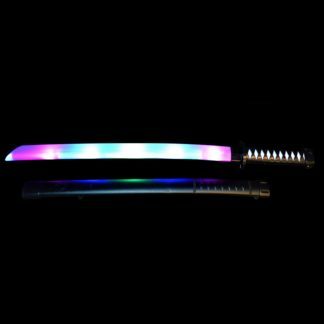 Supplied in a mix of vibrant neon colours. 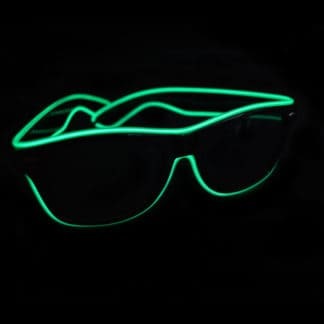 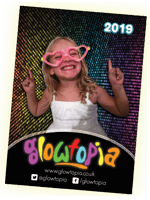 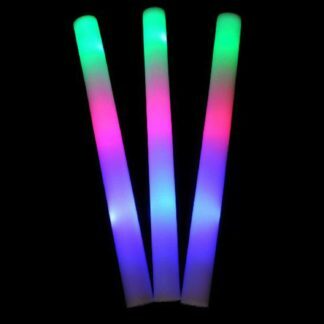 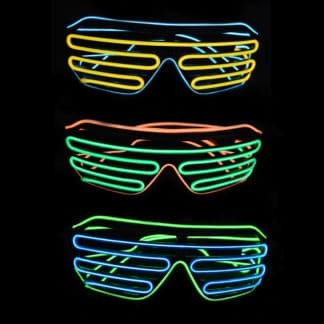 These neon glasses will add an extra touch to your 80s fancy dress costume or great as an additional party accessory! 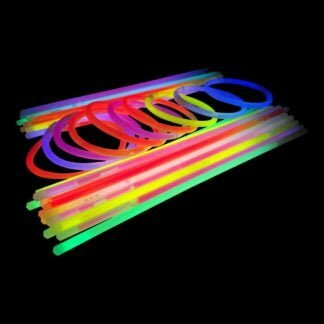 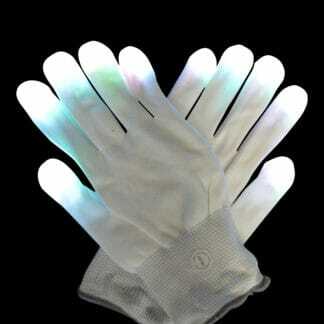 Supplied in a range of bright neon colours (random mix), one size fits all.